Goodreads: Nearly eighteen, Molly Ayer knows she has one last chance. Just months from "aging out" of the child welfare system, and close to being kicked out of her foster home, a community service position helping an elderly woman clean out her home is the only thing keeping her out of juvie and worse. Kritters Thoughts: Two stories parallel in this amazing book that focuses on foster care and the ways it has and has not changed in our country. A young girl who is close to aging out of the system has yet to find a place to call home and just wants to feel at peace in one place. 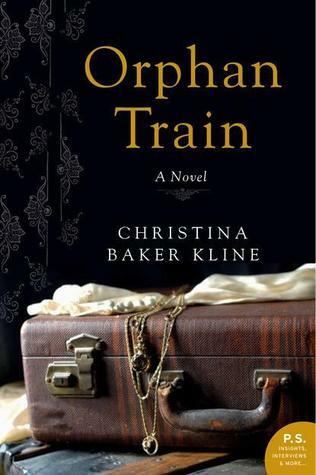 The other story centers around an elderly woman who had to leave New York on an orphan train headed west in hopes of finding a family that would take her in and care for her. They both were abused by families and the system and it was sad to see that we haven't figured out how to fix the situation; if there is a solution. I absolutely adored how the author used the past and the present to show the foster care world and how no matter the time in history, a child without a home still feels the same feelings. The way the author brought Molly into Vivian's home and then unfolded both of their stories was just magical. I was worried that I would confuse their experiences, but not for a moment, these two people were so distinct but still had so many similarities. A piece of historical fiction, but easily wrapped in a current story, so I would recommend this book to readers who may not always enjoy the historical fiction genre, but are in need of a great book to read. I love the combination of past and present stories, especially when it is done well. Sounds like this is a great read!